Before you start cringing over the thought of bitter gourd, think about all the health benefits this fiesty vegetable can do for you. Despite its strong taste, bitter gourd can help maintain your body's sugar levels, lower blood pressure, cholesterol, and also liver cleansing. 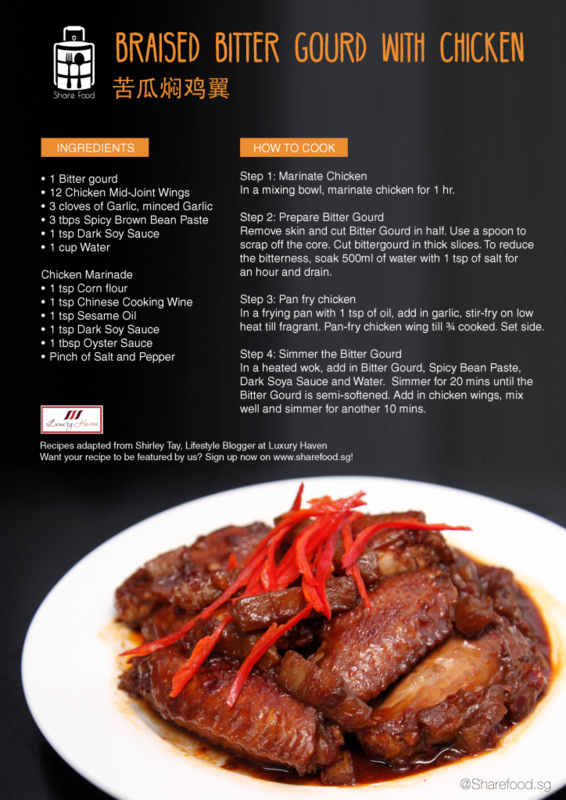 That is why, today, we are trying out this simple yet amazing recipe by our home cook Shirley Tay that we highly recommend you to give a shot at. Shirley remembers her first taste of bitter gourd chicken at a restaurant and like most of us, she had anticipated what many would call an "acquired" taste. But her assumptions were wrong! This dish if cooked to perfection has a slithery soft texture that she wouldn't have imagined coming from a bitter vegetable (pun not intended). As a person who likes to experiment with food, Shirley Tay naturally tried to replicate this dish and has recreated it with an award-winning recipe. Apart from this dish, Shirley as a avid home cook, have generously shared her recipes in her blog Luxury Haven. While healthy food is sometimes tainted with the connotation of bland and raw, this recipe will literally take all those bitter memories away! 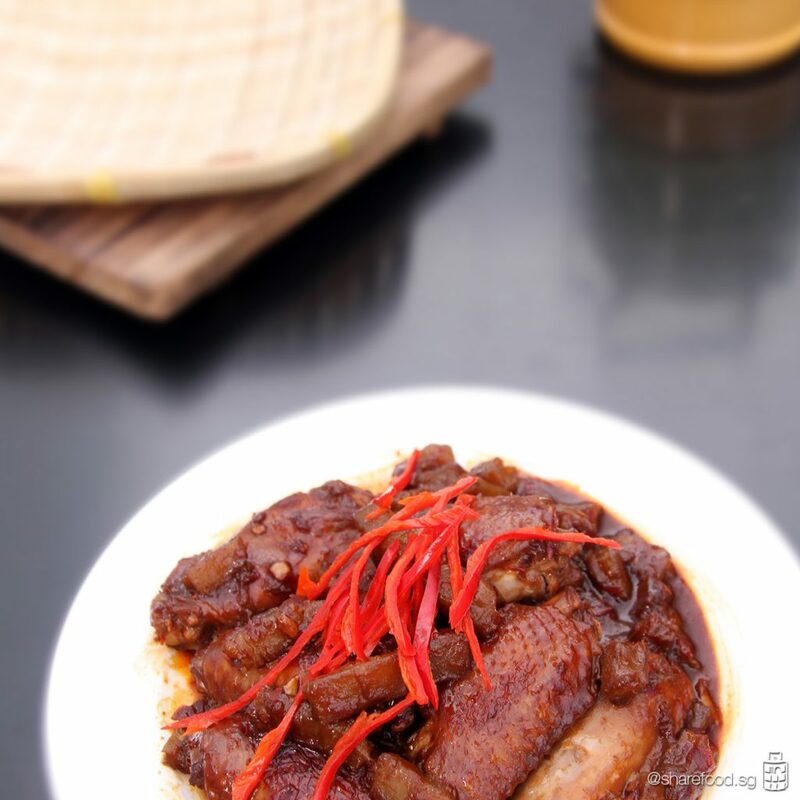 The enticing flavours of sesame oil, Chinese cooking wine, black sauce and oyster sauce complements the strong bold flavours of the bitter gourd which is infused into the tender chicken meat. Shirley's cooking methods of stir-frying and simmering blends all the magic together attaining the "melt-in-your-mouth" sensation that you'll never regret taking that first bite! So before you dismiss the idea of the distasteful bitter gourd, try this dish first and we bet you won't feel bitter at all. 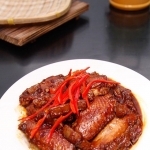 The enticing flavours of sesame oil, Chinese cooking wine, black sauce and oyster sauce complements the strong bold flavours of the bitter gourd which is infused into the tender chicken meat. Shirley's cooking methods of stir-frying and simmering blends all the magic together attaining the "melt-in-your-mouth" sensation that you'll never regret taking that first bite!